As the warm days of summer fade into the crisp days of autumn, it is time to shift the gardening focus onto another season. It is also crucial to prepare your landscape for the cold weather that will arrive in the next few months. Autumn is a great time to spruce up your lawn and begin these preventative methods. The cooler weather makes it easier to get out in the yard without dripping from sweat. Autumn is a wonderful time to fertilize, control weeds, and improve the health and appearance of your yard. 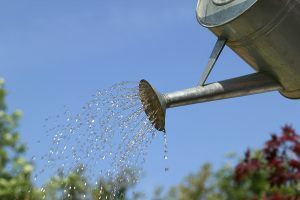 Watering is not just for summer months. Water on Schedule – most lawns need water whenever it is dry, no matter what season. If a summer drought continues into autumn, water once or twice per week. Early morning is the best time of day to irrigate, avoid watering in the evening as that can encourage fungal diseases. The Greenwell™ Water Saver is an excellent choice to make your watering more effective. Fertilize – Autumn is an excellent time to fertilize your lawn and garden. Cool-season grasses respond well to a feeding in early September and again in late fall. This will help it to green up earlier and show better health in the Spring. An all-purpose fertilizer, such as Algoflash is an excellent choice. Weeding – broad leaf weeds such as dandelion and clover are easiest to get rid of in the autumn months. These perennial weeds can be very invasive to your lawn or other plants, and will return year after year if not controlled. You can remove these weeds by hand, or use a generic weed killer. 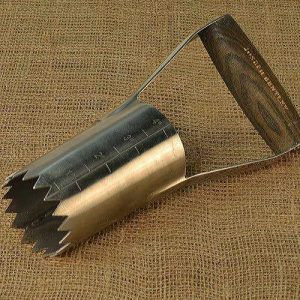 For areas with dense weeds, this Weeding Knife can help make the job easier. 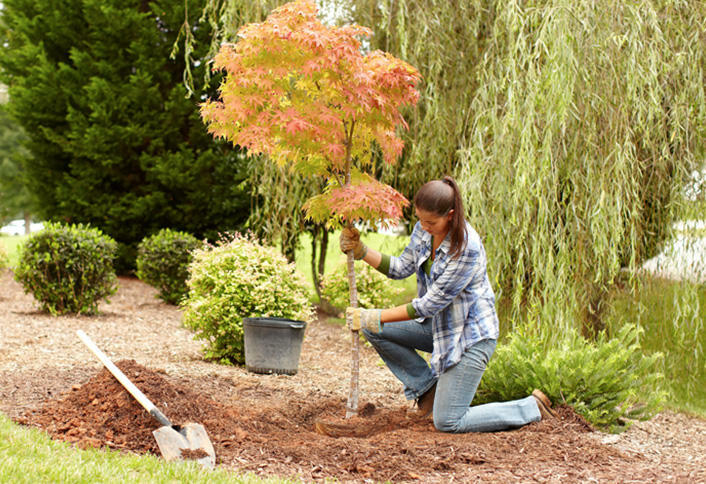 If you have newly planted trees, it is important to protect them from winter weather. Image via Google. 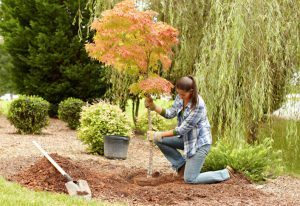 Trees – if you have newly-planted trees in your landscape, there are a few things that you can do in the Autumn months to assist them in making it through their 1st winter unharmed. If your area experiences harsh winters with snow and ice, protecting your young trees is imperative. Wrap the young trunk in burlap or paper wrap to protect it from harsh weather. Ensure the tree is well-mulched, this can assist in insulating the soil from cold temperatures. Our Stainless Steel Bulb Planter can assist in planting bulbs at the correct depth! Roses – do not prune roses in the fall months. However, fall is an excellent time to cut off any dead or diseased canes. Stop fertilizing 6 weeks before the first frost, but continue to water during dry weather. Mulch the base of your roses before the ground freezes to insulate the soil (do not use wet leaves for mulch). Autumn is also a good time to generally clean up your rose bushes by removing overgrowth and canes that have tangled together. Be sure to use sharp, clean pruners such as the PowerGear® Pruners. 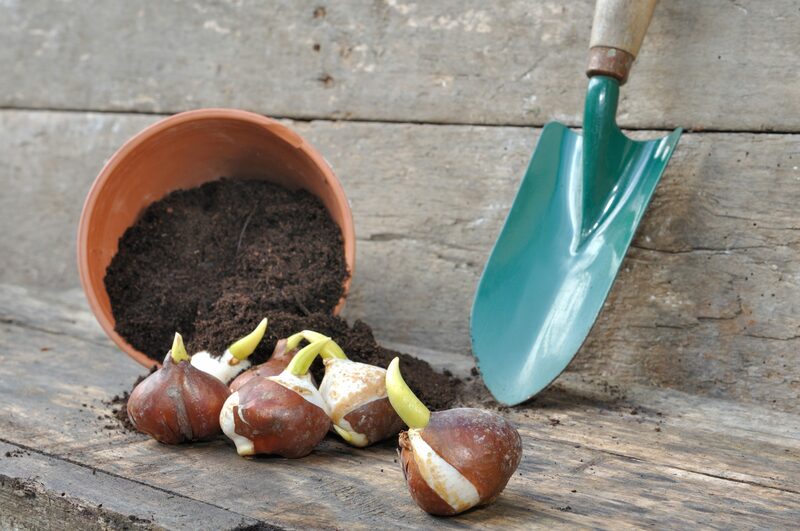 Plant Bulbs – planting your bulbs in the fall will help to guarantee great blooms in the Spring. Bulb planting is very easy when you have the correct tools. This basic planting method consists of digging a hole at the proper depth, placing the bulb in the hole pointy-side-up, then burying it. Our Bulb Planter is an excellent way to dig holes and ensure correct depth. Container Plants – protect your container perennial plants by either bringing them indoors, or wrapping them to protect them from harsh winter weather and wind. If the soil in the container freezes, water will not be able to flow through the plant. Also, ensure that your container is strong enough to withstand freezing temperatures. Materials such as terracotta can crack when they become too cold. Utilizing these tips can help your garden to survive the winter months and ensures a successful spring in the coming year. Happy Gardening!